The Catalan Association of Tourist Marinas and is a private non-profit organization established in 1983, consists of dealers Ports and harbors sports in Catalonia. 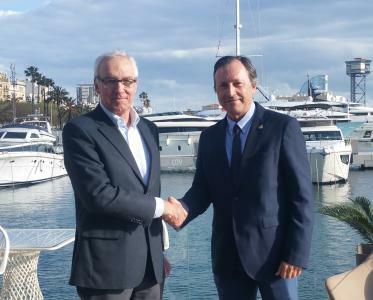 Since its inception, the organization has worked to bring together dealers Marinas in its various legal forms, whether Sports Clubs, companies or consortia and has based its management in identifying common interests and its defense and development, making it possible to unify and improve quality in the delivery of services to all Catalan Marinas. The high representation that has held since its inception, has placed as interlocutor with the different administrations that, in one way or another, involved and / or infrastructure are tutelan these marinas. Currently, the Association has 41 partners of the 50 ports in Catalonia, which accounts for 82% of port concessions granted in Catalonia, including those that are supervised by the State Ports. Since 1989 and until 2010, the Presidency has been occupied by Mr. Francesc Xavier Mangrané, whose management has provided a value of unity and sense of industry that has deepened mutual understanding and improving overall management of port facilities. In this regard, it should be noted that the relationship with the Port Authority over the years has always been positive towards the whole sector. From 2010 to 2018 the Presidency of the Association was occupied by Mr. Tomás Gallart and in April of 2018 Mr. Albert Bertran was elected as the new President, being in charge of a new Board of Directors until today.